Barry Cinnamon and his team document real-world experience with behind-the-meter storage systems. In this edition: SolarEdge’s StorEdge system. The team at Cinnamon Solar and Spice Solar have conducted a series of hands-on reviews of commercially available residential battery storage systems. 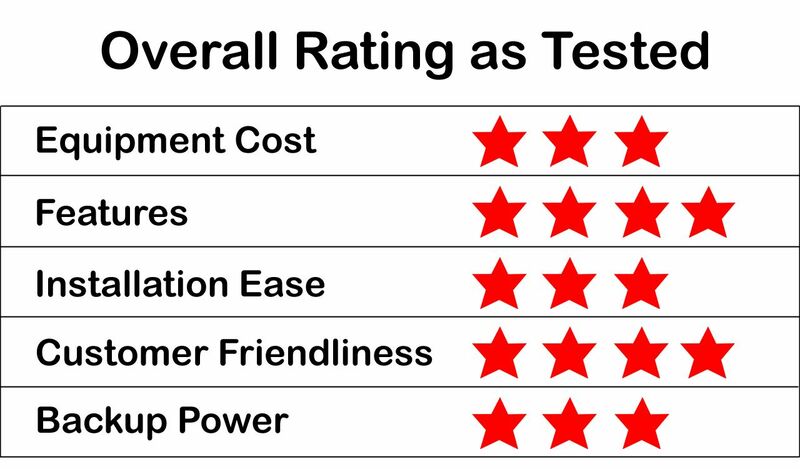 Reviews are based on the installation and usage of each system using commercially available products and software, provided by manufacturers. The intent is to provide useful real-world experiences to installers, homeowners and manufacturers as behind-the-meter battery storage systems become more popular. In this review, we tackle the StorEdge battery storage system from SolarEdge. StorEdge is a grid-tied solar inverter coupled with a battery storage system interface compatible with multiple DC battery systems. StorEdge currently supports the LG Chem RESU10 and Tesla Powerwall; other battery subsystems will be added. The StorEdge 7.6-kilowatt inverter functions virtually identically to the standard SolarEdge 7.6-kilowatt inverter, simplifying installations for solar contractors already experienced with SolarEdge’s DC optimizer design. StorEdge is DC-coupled, connecting directly to either a PV array or battery or both -- enabling operation in grid-tie mode and backup power mode. The StorEdge system in this review was installed and configured using the LG Chem RESU10 battery subsystem. The StorEdge system is ideal for customers who want to store locally generated solar energy or inexpensive grid energy for consumption during peak electric periods, thereby reducing electricity energy charges. 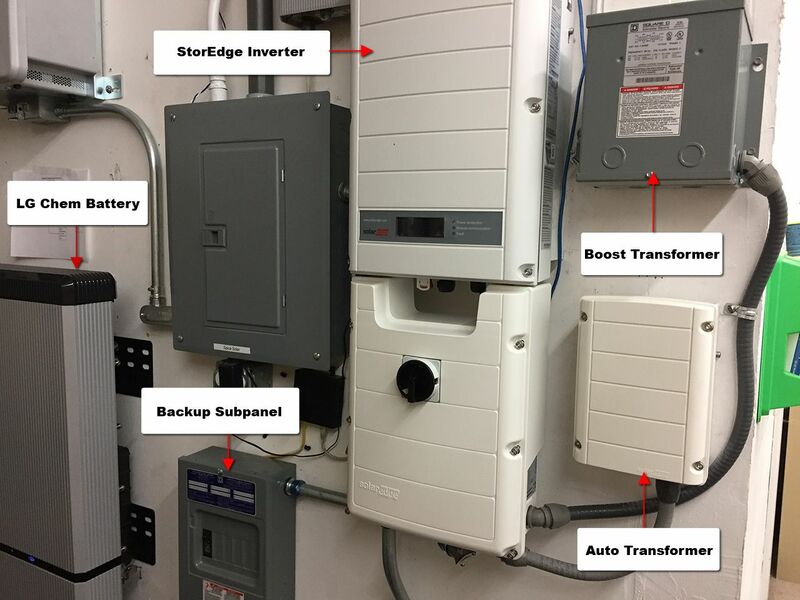 Key features of the StorEdge system: various third-party battery subsystems can be connected; the system can be configured to provide emergency backup power; and the system has a number of configuration options to handle the wide range of net metering and grid interconnection requirements in the U.S. and other countries. Many solar contractors are familiar with SolarEdge inverters and optimizers, simplifying the design, installation and configuration work for the StorEdge system. In the standard SolarEdge 7.6-kilowatt system, the bottom section of the inverter assembly includes the PV DC disconnect, terminals for the DC connection to the PV array, and terminals for the AC connection to the grid. In the StorEdge system, this bottom section -- called the backup unit -- also contains an AC loads breaker, AC loads bypass switch, battery input, battery communications terminals, AC output to the backup loads, meter communications terminals, auto transformer terminals, fuses and a standard 9-volt lithium battery for dark-start capability. This backup unit also provides 240-volt 60-Hz reference power and relays so that the system can operate in backup mode in the event of a utility power interruption. 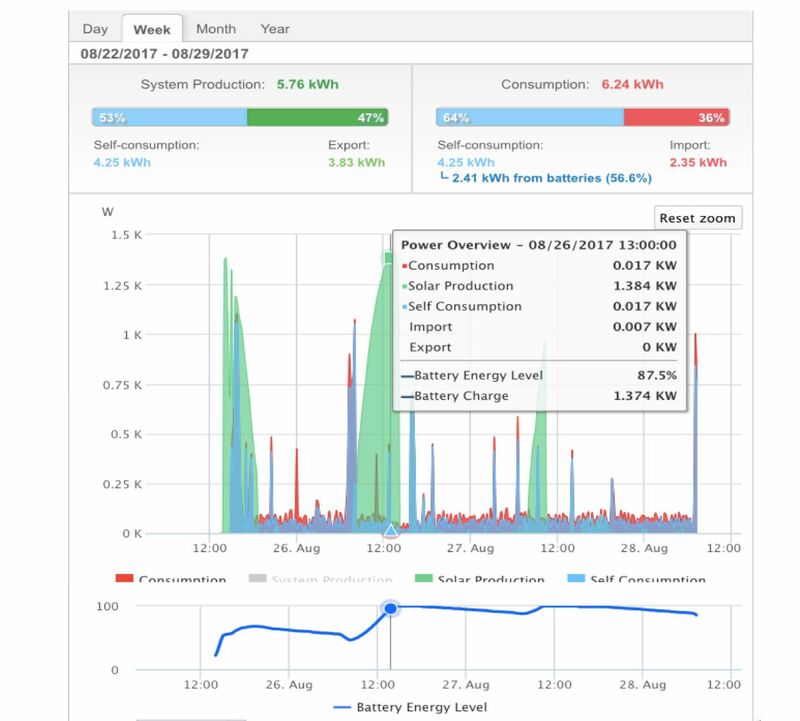 SolarEdge provides comprehensive documentation, maintains a customer support hotline Monday through Friday from 6 a.m. to 5 p.m. PST, and provides a cloud-based monitoring platform that is easy for both contractors and customers to access. SolarEdge is an established solar equipment supplier with a reputation for delivering good product and service quality. The StorEdge system is feature-rich, supporting a wide range of operating modes, grid integration capabilities, and backup power configuration options. 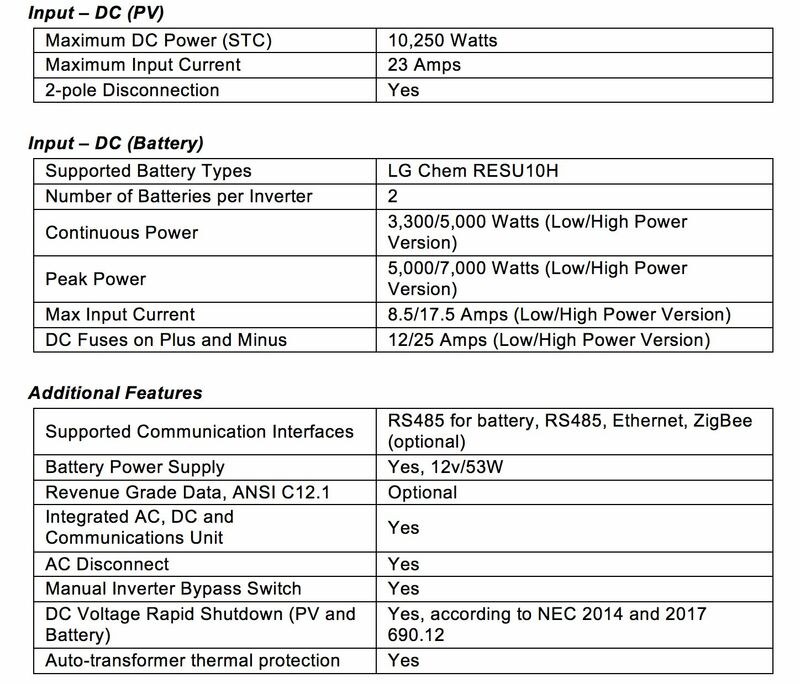 As such, SolarEdge has done a good job providing comprehensive and readable documentation for its StorEdge inverter, including peripheral components used with the system (consumption meter, auto transformer, etc.). SolarEdge provides regular contractor training at regional solar and storage events, training with affiliated distributors, as well as scheduled and on-demand webinars. LG Chem provides documentation, training and support for its battery system, as well as integration support from SolarEdge. Contractors must be aware of the special shipping requirements that apply to large battery storage systems. In particular, DOT hazmat training is required for all personnel handling lithium-ion battery systems that weigh more than 50 pounds. 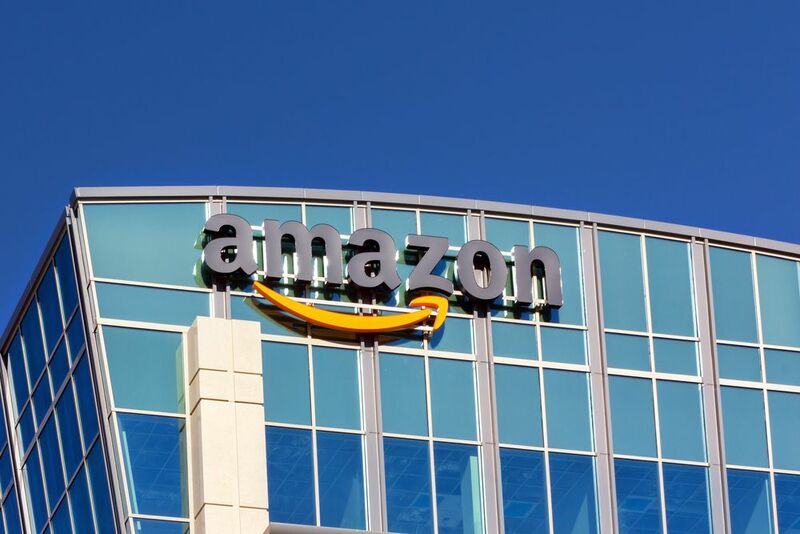 Most common carriers can meet these requirements, including FedEx and UPS. Contractors must make sure their staff are properly trained when handling large batteries such as the LG Chem RESU10H. Note that these battery subsystems are very heavy and may require a heavy-duty hand truck (ideally with a vertical lift) so that the battery can be safely transported to the installation site and mounted on a wall. One or two batteries can be connected to each StorEdge 7.6-kilowatt inverter. For most small homes with a 4-kilowatt PV system, a single LG Chem 10-kilowatt-hour battery would be sufficient to optimize self-consumption of their solar power. In this 4-kilowatt system example, a 10-kilowatt-hour battery would be able to store about 70 percent of the average daily energy generated by the PV system. This 10-kilowatt-hour capacity would also be sufficient to power critical loads in a home for one or two days. Larger homes with higher evening energy consumption levels or extensive critical loads would benefit from additional battery storage. During backup operation, the system can provide 5,000 watts of continuous power from the battery, with a 6,600-watt surge. Note that this power and surge capability is generally insufficient to operate central AC systems or large loads (such as an electric dryer). 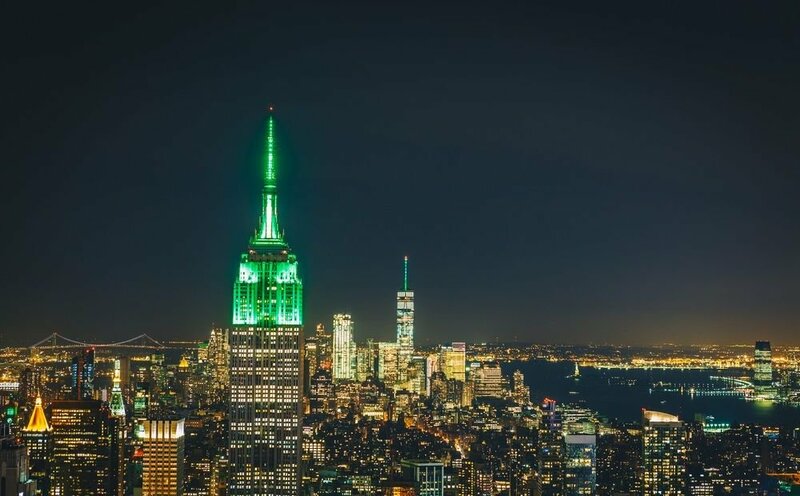 Because of the maximum power limitations inherent with all battery backup systems, customers who want to power their entire home -- including AC and large appliances -- will generally be better served with a whole-house generator. 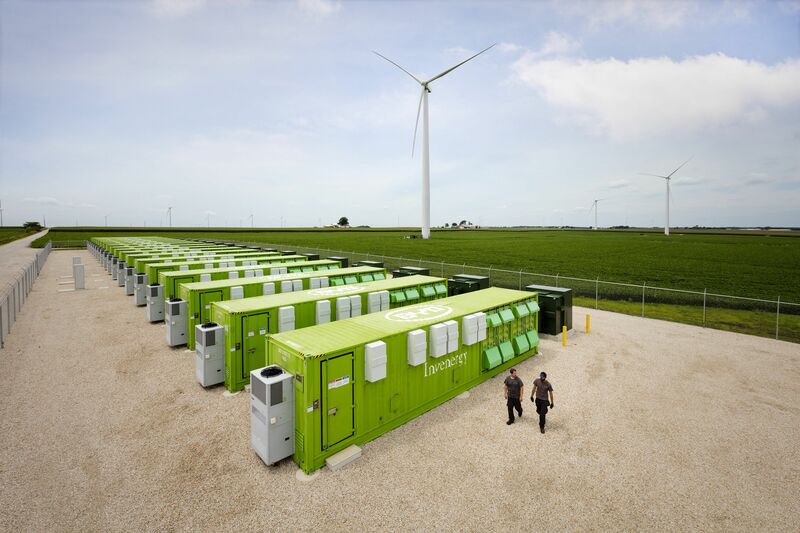 Permitting for the StorEdge system is similar to a standard PV installation -- plus whatever additional requirements that may apply by the jurisdiction for battery storage. 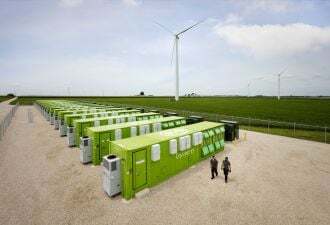 Local utilities may also require additional safety or set-point configuration changes so that the battery storage system meets their interconnection requirements. Finally, rebate administrators (such as California SGIP) will often have additional application and operating characteristic requirements. As with other SolarEdge inverters, the StorEdge inverter is mounted on the wall with a bracket, connected to the AC service panel and PV panels (equipped with optimizers). Additional electrical components included a single 40-amp dual pole breaker in the main service panel, the SolarEdge auto transformer (necessary for backup power operation), communication wire for the temperature sensor in the auto transformer, SolarEdge electricity meter and communication wire, a critical load subpanel, LG Chem RESU10H Battery, and communication wire to the battery. 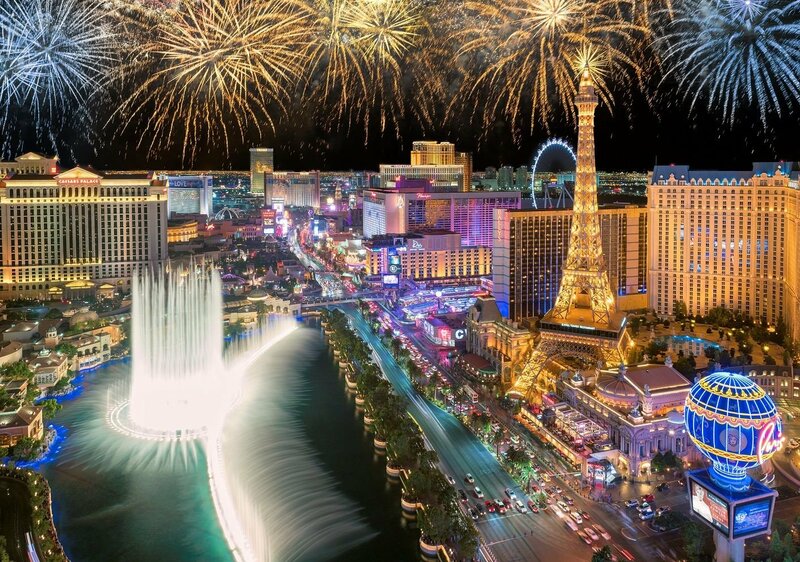 For this 208-volt three-phase commercial electrical service, a transformer was also installed to achieve the 240 volts necessary for the StorEdge inverter. SolarEdge’s cellular monitoring was used for this installation. The cellular SIM card is mounted within the inverter, and a cellular antenna is mounted externally on the inverter housing. (Note that this higher data rate cellular modem is different than the standard SolarEdge cellular modem.) 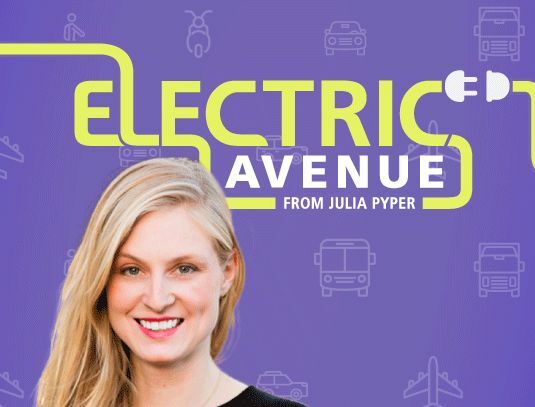 Instead of the cellular connection, Ethernet or ZigBee communications from the inverter to the customer’s internet service is an alternative. Since the maximum output from the inverter and battery is limited to 5,000 watts, a critical load subpanel (or backup panel) is necessary. Critical load circuits (such as refrigerators, important lighting, furnace, hot water heater and entertainment necessities) must be moved from breakers in the main service panel to breakers in the critical load subpanel. This critical load subpanel is then fed from the inverter. In the event of a grid failure the inverter will resume powering these critical loads after a delay of about 5 seconds (not instantaneously as with an uninterruptible power supply). The SolarEdge Electricity Meter was mounted adjacent to the service panel for the building. 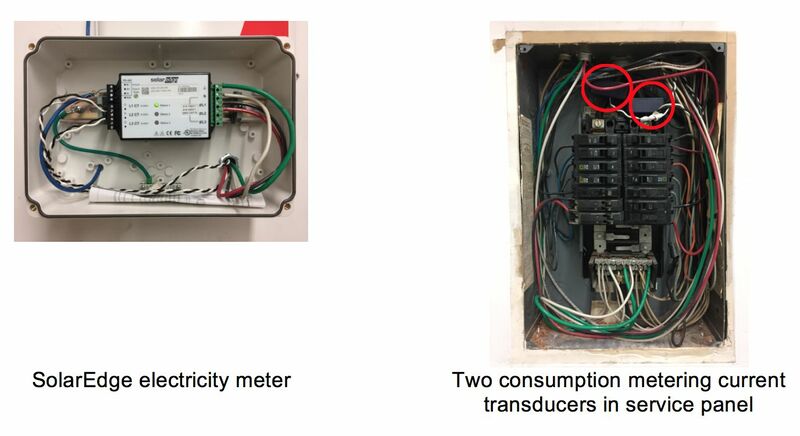 Two consumption metering current transducers (CTs) were installed on two of the three incoming AC power legs L1 and L2 so that net building energy usage could be monitored. The meter was connected to a circuit breaker making sure that L1 and L2 corresponded to the same legs as those on the CTs. A CAT5 cable was connected to the meter communications pins in the inverter. Configuration of the system was completed by setting the appropriate DIP switches on the inverter and backup unit. Additional configuration options were completed using the menu button below the inverter to navigate through the settings menus. 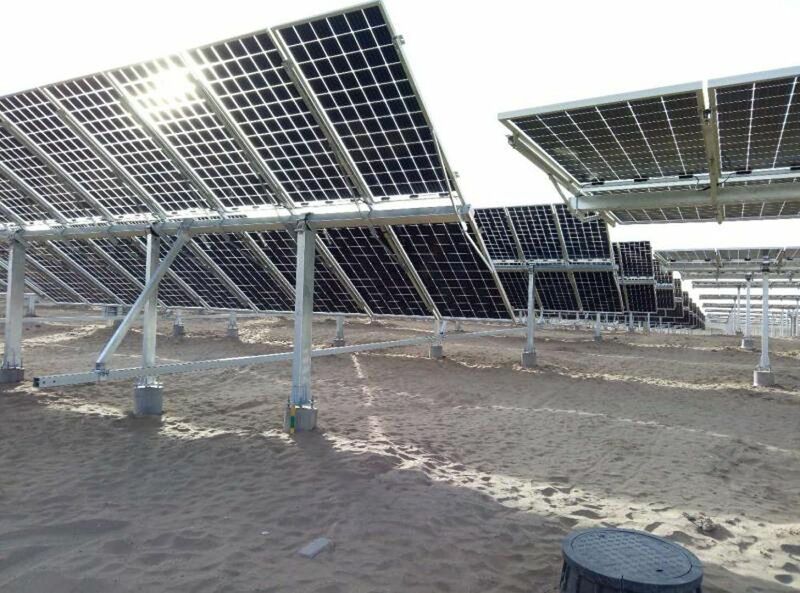 Once cellular communication to the SolarEdge monitoring platform was completed, the performance of the system could be viewed remotely, including total building consumption, solar production, self-consumption, power import from the utility, power export to the utility and battery status. System operating profiles can be set by the contractor on the SolarEdge monitoring platform. These profiles can establish optimal charge/discharge times so that customers can charge from PV or the grid when rates are low, and discharge the battery to the home when rates are high. Operation is completely automatic once the system is installed and configured. In the event of a grid failure, the backup subpanel will be energized by the inverter and battery within about 5 seconds. Contractors have visibility into the performance of individual solar panels, as well as certain operating characteristics of the inverter and battery. Once communications are established, SolarEdge support has access to virtually all software-configurable settings of the inverter. SolarEdge has a comparatively good track record for releasing stable, well-engineered and documented products. Because many contractors are already familiar with SolarEdge inverters and optimizers, installation ease of the basic PV system is fairly straightforward. SolarEdge has done a commendable job integrating PV with battery storage. 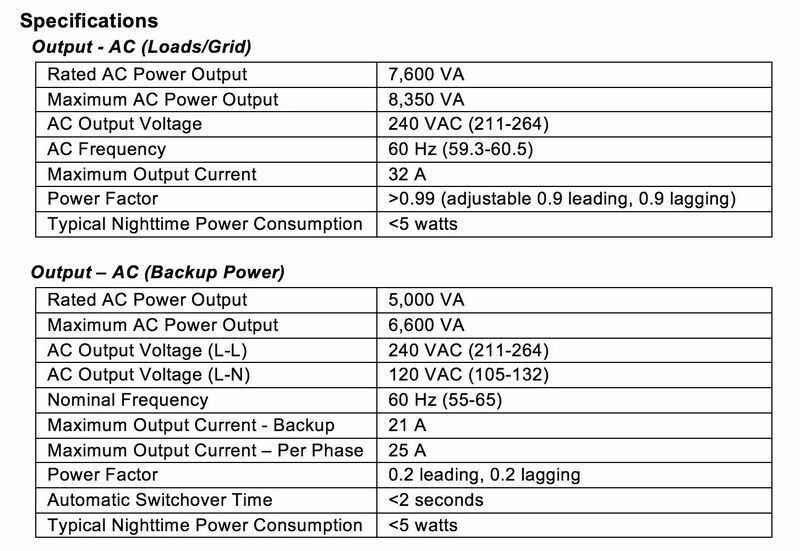 Nevertheless, the additional work related to installing any system with battery backup power and building consumption monitoring should not be underestimated: third-party battery subsystems are relatively large and heavy; additional communications wires must be installed to the battery, autotransformer and electricity meter; more complicated setup and configuration is necessary compared to a simple PV system; and a backup loads subpanel must be wired based on the customer’s needs for emergency power. We expect that the StorEdge solar and energy storage system will be one of the more reliable and user-friendly systems on the market. The fact that this system is designed to be compatible with multiple battery subsystems gives contractors a choice in system design -- much as they have a choice when selecting solar panels. The complete system’s price point is realistic based on the capacity of the inverter, battery and configuration options. Barry Cinnamon is the CEO of Spice Solar. To access the full review, including installation details and technical specifications, visit Spice Solar's resource page.